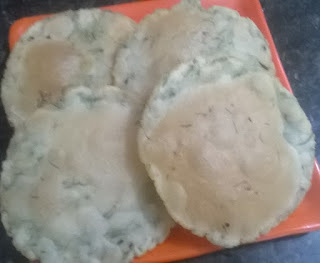 Chawal ke aate ki Poori or rice flour Poori is a very tasty and delicious dish which is enjoyed by the family members. This makes it easy to cook. This amazing and mouth watering Chawal ke aate ki Poori takes only 10 min for Cooking and for the preparation takes 20-30 min. When you want to prepare something very tasty and delicious for Sunday or any special day then Chawal ke aate ki Poori is a best option for you. The flavor of Chawal ke aate ki Poori is palatable and you will enjoy each and every bite of this. Try this Chawal ke aate ki Poori and make happy your family and loved one.